So far this feature mainly concerns to Youtube. In addition to the usual clips Youtube always has on the page several media files with single media stream (so-called Adaptive Streams). 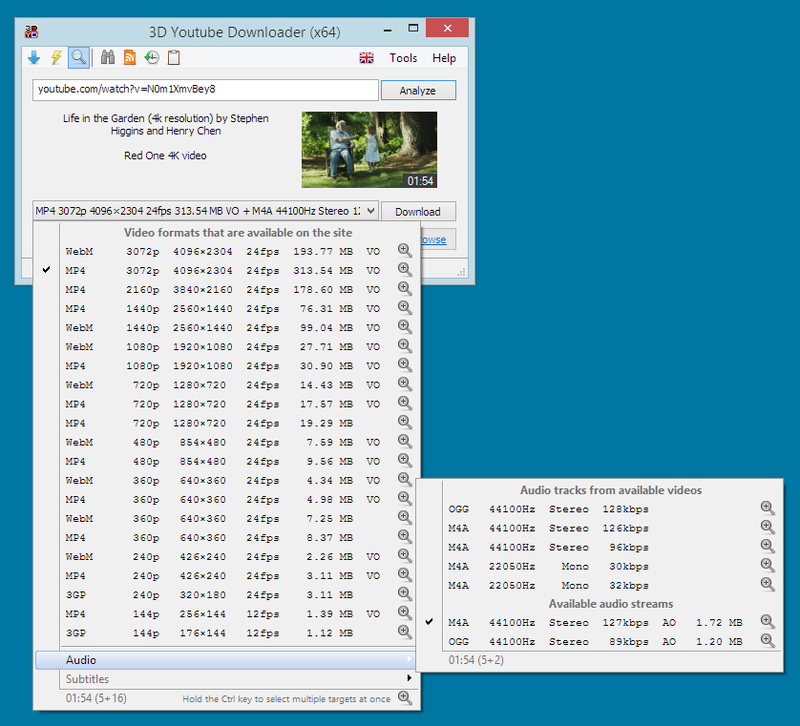 Usual video file consist of two streams: video stream and audio stream. But these files have only video without audio or audio without video. There are two points of why this does matter at all. At first, the highest video quality on Youtube is available only through adaptive streams. Secondly, if you want to download only audio, it is not need anymore to download big video clip to extract few megabytes of audio from it - the clip always has audio-only streams now. VO means Video Only, AO - Audio Only. They are Adaptive Streams we are talking about. 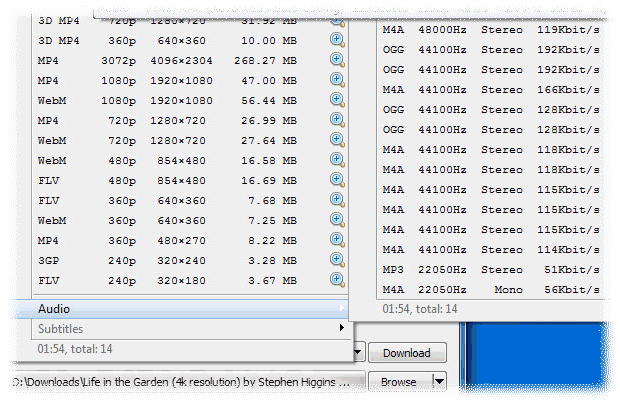 As you can see, the highest quality (all above 720p) is available only through them. 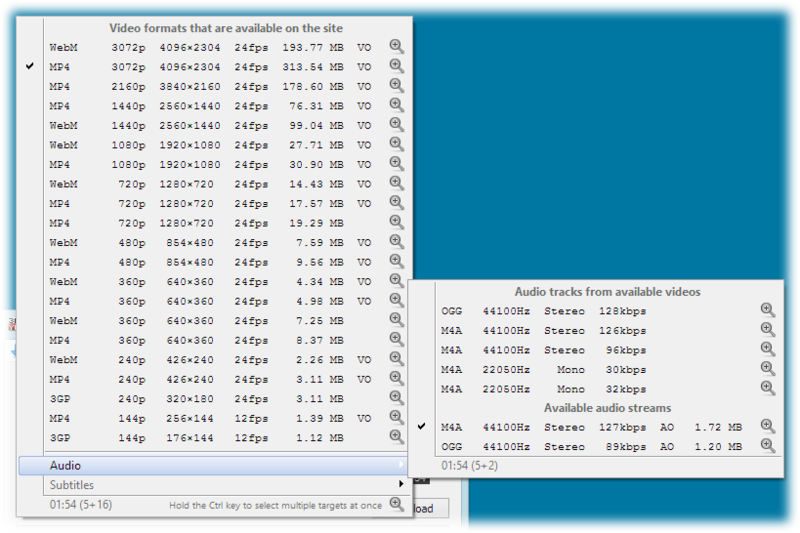 Also available two audio-only files (usually there are more, with Opus codec). 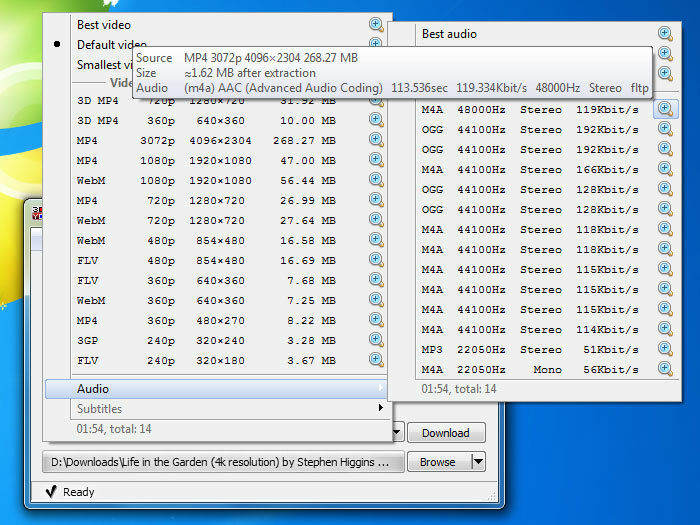 Regular video files are still present but there are only five of them.